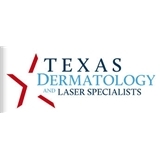 Texas Dermatology and Laser Specialists (New Braunfels) - Book Appointment Online! *Please allow 24 hours for cancellations- Thank you* Conveniently located on Oakwell Court just east of Harry Wurzbach and south of loop 410, Texas Dermatologist & Laser Specialists diagnose and treat skin, hair and nail conditions for patients of all ages. We look forward to seeing you soon! One of the kindest, most knowledgeable providers I have ever met! She takes great care in explaining medical conditions and prescription options for treating your condition. Staff was very friendly and efficient. My husband and I were taken immediately with absolutely no wait time.